the other very desirable East Valley locations, to your home in Arizona? Well, if you are we are not surprised one bit. Chandler Mobile Massage, After all, Chandler and its suburban neighbors have been ranked as some of the most desirable places to live, work and raise a family anywhere in the nation. 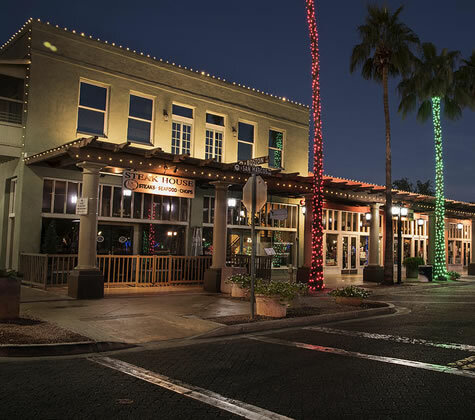 In fact, it is this desirability, combined with the constant innovation and renovation of existing facilities and landscapes that will keep Chandler in the sights of many residents and guests for many more years to come. For all the things you might know how to go about getting in Chandler, one that you might not is how to enjoy a mobile message therapeutic relaxation and rehabilitation session from the comfort of your home, office or hotel suite—and within as little as two hours from your call to A Magic Touch. Our licensed, insured and highly experienced staff of Chandler mobile massage therapists is ready to serve you with expert outcall and in-home services 7 days a week. Why leave Chandler, or even your home, when you don’t have to? The answer is, don’t…because our therapists will gladly bring a resort-style spa treatment and therapy session right to you instead! Our Chandler Masseuses Work Around Your Schedule! Are you one of the many Chandler residents who has chosen to live here because it is an excellent place to raise your children? If so, then our Chandler mobile massage therapists can schedule an appointment to come after the children go to bed…or if that doesn’t work, then how about one of you gets a massage while the other watches the children—and then you can switch duties and roles! We will bring the ambiance and equipment to you, and work around your schedule at home, the office or in your hotel suite. In most instances we are able to get a licensed massage therapist to your home, office or hotel suite for outcall or in-home service within two hours of your initial call. Our therapists are happy to work around your schedule, not ours. This amazing level of customer service and satisfaction makes booking a Chandler mobile massage therapist so much easier than deciding not to. Give us a call today on (602) 448-6836 and see for yourself how the magic hands at A Magic Touch can go to work for and on you. Do you have a group or an event you need to book sessions for? Well, we can help because we have the staff to handle any size group, party, occasion or event. We can send as many licensed and insured therapists as needed to accommodate gatherings of any size. 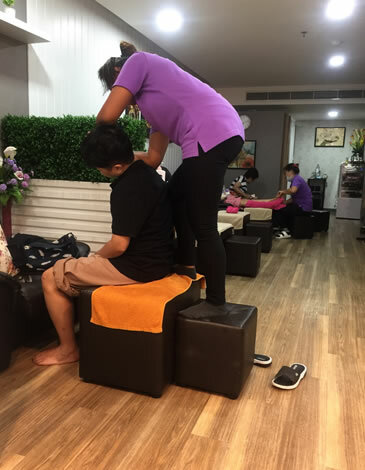 Additionally, we also provide couples, group, corporate chair, corporate event, and trade show massages—as well as full service, resort-style comprehensive spa parties courtesy of our staff of expert nail technicians and estheticians. Do you need to have your nails done right? Do you want to have a spa party for your friends? Our licensed and insured nail technicians are available seven days a week for outcall and in-home manicures and pedicures. Chandler pedicures We can customize any nail service to fit your needs. Our technicians will bring a foot Jacuzzi, tons of nail polish to choose from, and all the other tools necessary to make your mani-pedi session a fantastically fabulous experience.